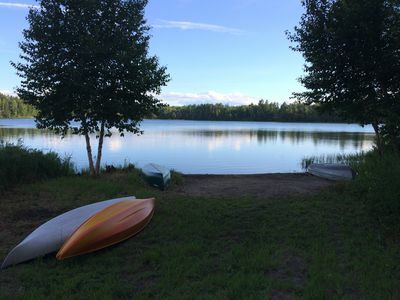 The cottage on lost lake is cozy, serene, clean, and has all of the amenities of home, but away from the mad rush. 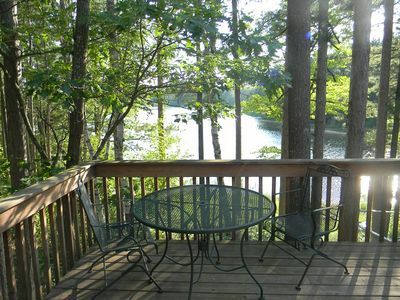 Sitting on the deck, and enjoying the 100 ft. Pines and taking in the lake view is the perfect escape from it all. The cottage is on a private road. It is accessible all year round. 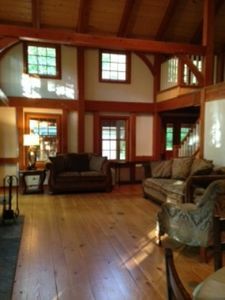 When you enter the cottage you are welcome by a large kitchen/ dining area, accompanied by a large living room area , all with tongue and groove vaulted ceiling. 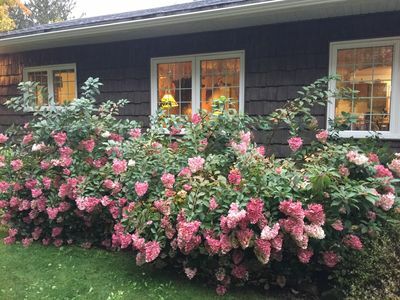 The cottage was lovingly built by a couple who live on the same lake. 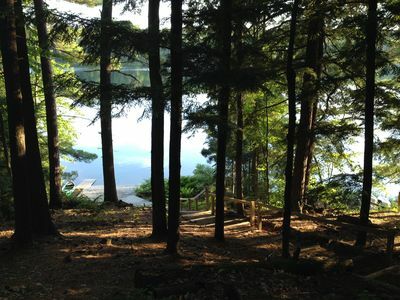 There is an immediate sense of serenity, and space. There are 2 bedrooms in the back. One is a double iron wrought bed with lovely oak furniture, many drawers, and large closets. The other has very new and solid bunk beds. In the living room, the couch is also a queen size pull out bed. There is one bath. It is really 2 rooms. The double sinks, and vanity, and washer and dryer are in a room adjoining the bathtub, shower, and camode. The deck has a small iron table and chairs to accommodate outdoor dining. 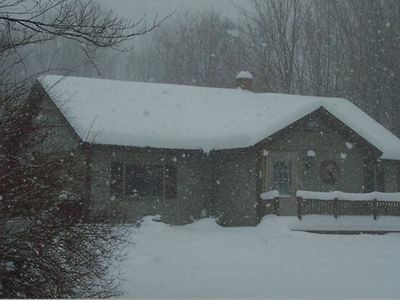 It is a walkout basement, with an adjoining dog kennel so that you can let the dog out in the middle of the night without having to suit up for a walk. The lot will accommodate parking for a trailor, and a few cars. 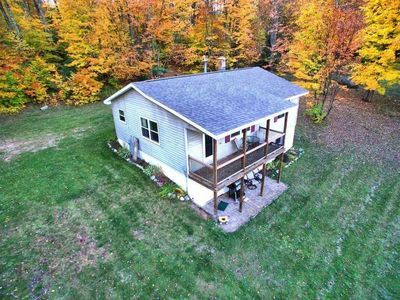 The entire property is 3 acres. 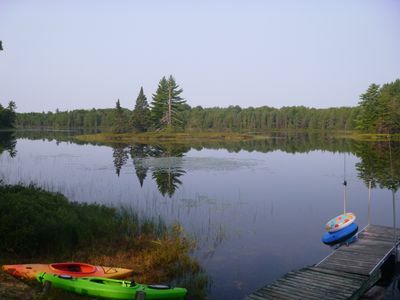 Right off of the road are a number of trails that will lead you through the hiawatha national forest. You can enjoy them by foot, snow mobile, snow shoe, cross country skiing, etc. ... Truly a place for all seasons. We would ask, out of courtesy for the neighbors. That snowmobilers would respect the 15 mile an hr. Speed limit on the private road, and refrain from making noise with the snowmobiles after 10:00. The cottage is set up with a phone, and internet. There is a tv with dvd player. There is a collection of dvds to chose from, or there are a few places to rent from in town. 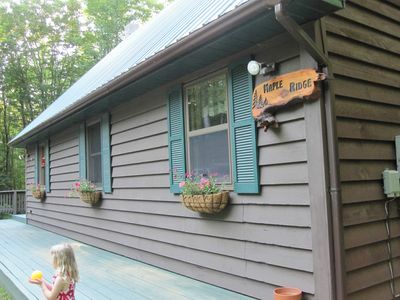 TOWN LAKE LODGE (15 miles from Pictured Rocks): Sleeps 8-Canoe included! 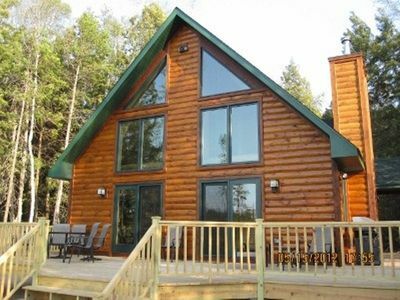 3 bdrm/2bath 'chalet', Wooded, close to Pictured Rocks, Hiking and Trails! 3 bdrm/2 bath, Gorgeous Lkfrnt, A/C! 30 mins to Pictured Rocks! 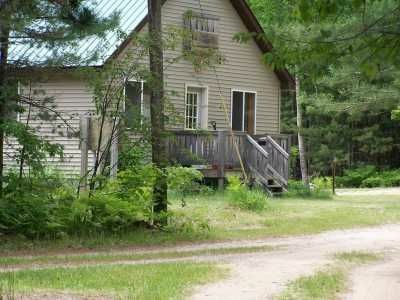 Quiet Rustic Cabin, Lake Access, Near Pictured Rocks! Boat, raft, Swimming! 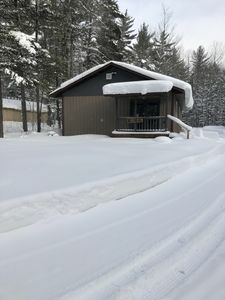 Lakeside Cabin, Pictured Rocks, 2 bdrm/1 bath sleeps 6; Snow Trails close! 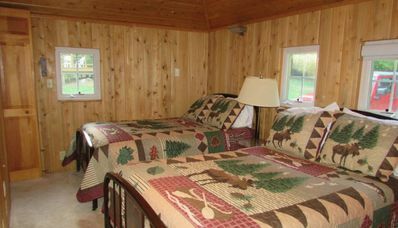 TURTLE COVE (on Town Lake near Pictured Rocks)--Pet-friendly family getaway! WIFI & Cable TV! 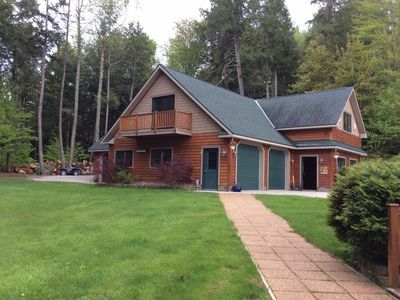 MASTERS RETREAT near Pictured Rocks--All-seasons cabin! Sleeps 6-pets welcome! 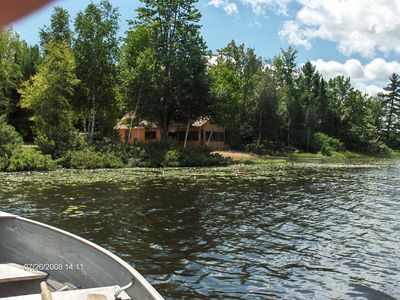 Peaceful Cabin on Lake in Middle of Hiawatha N.F. 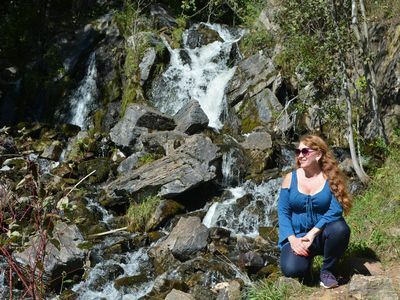 Summer hikes, tours, bon fires, and relaxation in the hot tub! 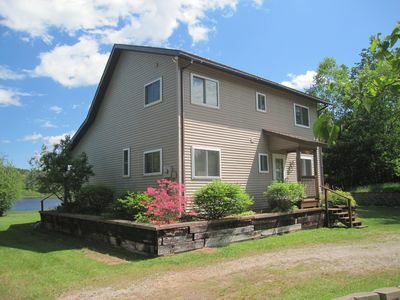 Ostrander Oasis, House with beautiful views, sauna, paddle board / paddle boat!